Marshawn Lynch, a one time Super Bowl winner, joined Matt Barnes on his podcast "Uninterrupted" and provided a completely different perspective. Lynch was asked about the questionable call at the end of the game and said: “What certain individuals were thinking at the time is just not the situation that we needed to be in,” Lynch said. “Like should I change it? I mean Russell (Wilson thinking) should I change the situation or can I get it handled? He also went on to say, “At the end of the day, I’m looking at it like, I’ve seen Russell do some (expletive) that hasn’t been done before. At the end of the day, I’m not too concerned about if some [expletive] can get done, because if it’s anybody that can make some magic happen, it’s this (expletive). Because I’ve seen him do it on my occasions before. But then I mean, you know, just the honest to God truth is, sometimes I think, ‘do you think you should have audibled?’ He then said this, “At the end of the day, I’m not mad at him or who called the situation or the play. But I’m going to tell you like this, when that play was called, and I saw the expression on the other 10 guys face in there, all they eyes was like, if we was in the huddle like this, and I’m standing on this side and everybody got they head down, when they heard the call, even the receivers, all they (expletive) was like, and they looked right at me. And I’m looking like *claps* break. What y’all want me to do? What happened happened, and at that point, I can realistically say I’ve done everything in the game. This is a very interesting interview because Marshawn had a golden opportunity to just absolutely trash that play call and it doesn't feel like he did. This is the play call, that many people argue, led to the collapse of their organization. They could've repeated had that ball not been picked off and then who knows what could've happened in the future years to come. 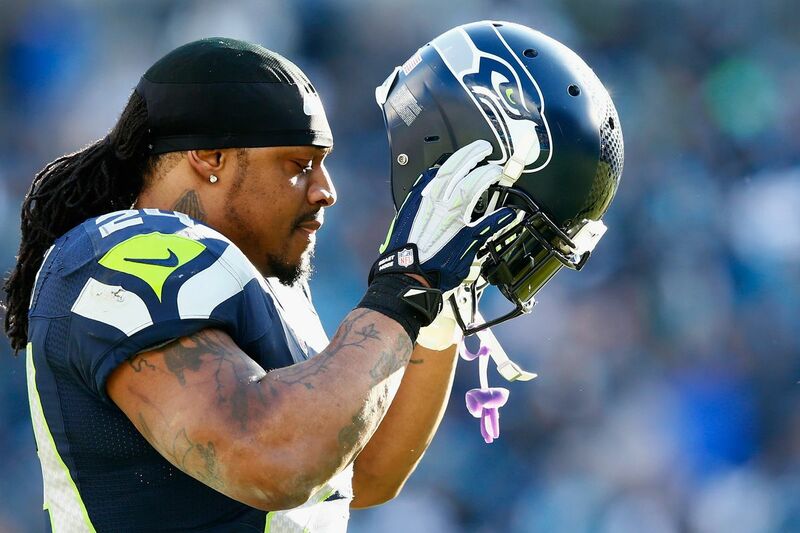 Would Marshawn still be a Seahawk?